Britannia remains the female embodiment of Great Britain. She represents the evolving values and ideals of the nation throughout the centuries. This character reflects on powerful queens of various times throughout British history, as well as their reigns' attitudes and events. Britannia has graced U.K. coins for hundreds of years now. After the Royal Mint achieved great success with its Gold Britannia bullion coins it began minting in 1987, it decided a decade later in 1997 to start producing these popular Silver Britannia bullion coins in one ounce versions with two pound face values. Britannia transformed into a warrior queen icon over the centuries. She carried a shield and wore a helmet as part of her design. In the 1700s, her image demonstrated British control of the seas. These versions of her contained a Conrad Heinrich Kuchler designed Britannia holding a trident. During the 1800s, Britannia embodied the strength and power of the British Empire as a confident figure which led Britain forward on the global stage much as Queen Victoria did. Today Britannia stands for a peaceful Britain showing control and defense in her armed vigilance. Today's Britannia is the only design which a woman has ever produced for a coin. Sculptor Suzie Zamit first designed the Britannias in 2010. She was again selected to produce the 2016 Britannia in her second endeavor on behalf of The Royal Mint. Suzie pursued studies of Fine Art Sculpture in her time at the City & Guilds of London Art School. She has served as a council member for the Society of Portrait Sculptors from 2007, where she became a member in 1999. Her 2016 Britannia has the symbol of the British lion next to Britannia's feet. This pairing first appeared on post World War I memorial plaques in Britain as a symbol for protection and courageouness. The Silver Britannia features an appealing design that draws both investors and collectors to the coin. The modern coin has undergone an evolutionary design process since it was launched by the Royal Mint in 1997. The obverse is the front side of the coin. This obverse has changed some since the original 1997 Silver Britannia first appeared. The first year had the “Third Portrait” picture of Queen Elizabeth II. The second year of issue, it changed to the “Fourth Portrait” showing an older Queen. Today's obverse has the “Fifth Portrait” of Queen Elizabeth II along with her name and reign and also displays the 2 pounds face value. The rear side of these coins is the reverse. Reverse designs of the Silver Britannia have changed almost constantly. The Standing Britannia design decorated the bullion coins struck in 1998, 2000, 2002, 2004, and 2006. G.W. De Saulles originally engraved this image. There were varied special designs issued in the years 1997, 1999, 2001, 2003, 2005, and 2007 Silver Britannias. Until 2010, the Royal Mint alternated between the classical Standing Britannia and a unique design from one year to the next. In 2010, the first woman Suzie Zamit re-designed the image of Britannia. Her design has appeared on the coins since then. She produced a new Britannia image for the mint in 2016. This 2016 design has Britannia with trident and shield. In the proof versions, the British lion rests at her feet. Around the coins are the words Britannia 2016, 1 ounce, and 999 Fine Silver. All Silver Britannia coins come with the identical 2 pounds sterling face value. This signifies that they can be spent anywhere in the United Kingdom. In practice, no one uses these coins for face value on daily purchases. This is because the coins possess a market value which is considerably greater than the 2 pound face value. Face value does not determine a coin's intrinsic value. It only guarantees that the coins have a minimum market value. These Silver Britannias market value fluctuates up and down based on the relevant demand and available supply. It is substantially based on the silver spot price as well. Such silver prices go up and down most trading days. This creates daily value change in the Silver Britannia coins also. You can find the present live silver price by navigating over to our home page. Can IRA Accounts Contain Silver Britannias? The IRS alone decides if particular coins may be contained within precious metals IRA accounts. They consider not only silver coins and bars, but also bullion in gold, platinum, and palladium for such self directed IRAs. 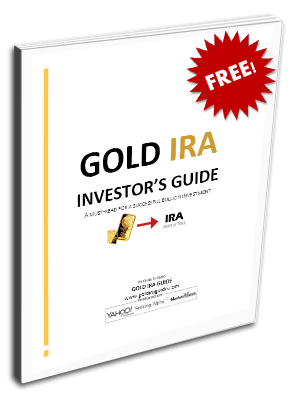 In order to establish a precious metals IRA account, investors must buy minimally $5,000 worth of precious metals which the IRS has sanctioned. Subsequent purchases after this can be made in only $1,000 minimums. Having physical silver in a retirement account like this helps provide investors with unique tangible diversification for the portfolio. Silver prices do not move lockstep with stocks and bonds, but provide a hedge against their declines. Its lower prices than gold, palladium, and platinum argue for it as affordable investment insurance. This is why silver is such a popular choice. In order for bullion coins to be allowed in such self directed IRAs, they must meet specific levels of minimum purity. The Silver Britannias which the Royal Mint struck from 1998 to 2012 were only .958 fine silver. This was insufficient for the minimum .999 purity levels the IRS requires of silver coins kept in IRA accounts. Even though the Royal Mint has since increased the coin's silver content to that 99.9 percent level starting in 2013, the IRS has still not approved the newer Silver Britannias for IRAs. It is possible that they may decide to include them in the future, though doing so might create confusion as to which Silver Britannia coins qualified for the IRAs and which did not. For simplicity, no Silver Britannias may be included in IRA accounts. Silver Britannias still make great investments for other holdings and types of accounts. You can buy them from most coin dealers around the world. The Royal Mint also sells current year editions in proof and brilliant uncirculated condition directly.